but in seeing with new eyes." Your Earth Mission is the overarching springboard from which your business, livelihood and life lauches forward that respects nature and fosters socially just relationships with all life. Wealth without purpose is poverty. 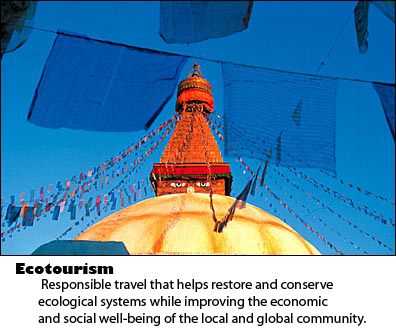 Ecopreneurs create enterprises that are ecologically restorative and socially responsive and just. They measure their success in how they build community wealth in a living economy. 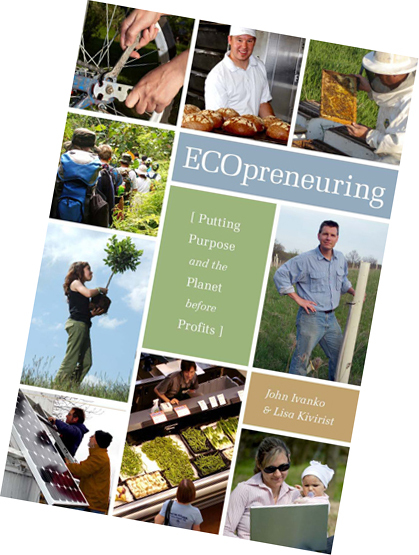 Read more about the Earth Missions described in the Ecopreneur Profiles from ECOpreneuring. Order your advance copy of ECOpreneuring today at a 22% discount off list price (a PDF file order form). The book will be shipped when available, most likely in May, 2008.